Do you know nowadays we need not to fly away to Arizona in USA for take cool selfie with the Grand Canyon. 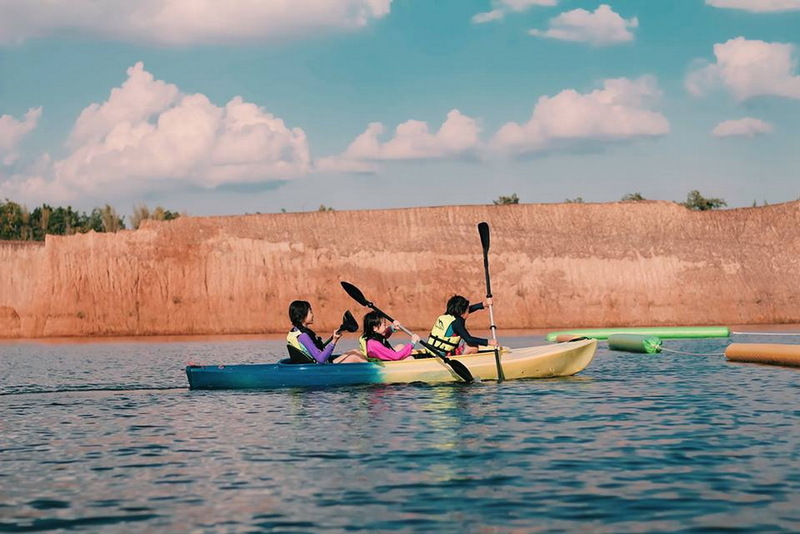 Another easier way to get a cool photo is in Chiang Mai Grand Canyon and Grand Canyon water park, one of the restful tourism in Northern of Thailand. Chiang Mai Grand Canyon is so popular as one of the most in Chiang Mai in a bit few years ago, because this place is so difference in the other tourist in Chiang Mai. 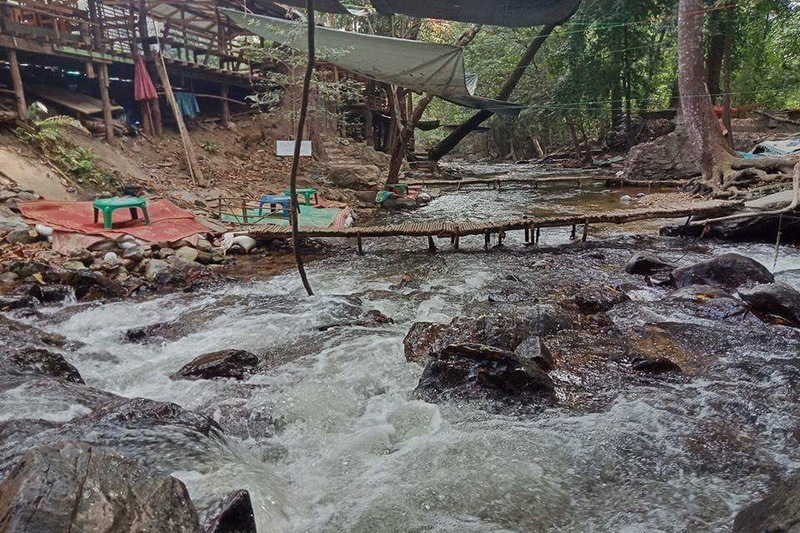 If we talk about Chiang Mai, there is a few things pop up in your mind such as cold, mountain, party, and anything that differ far away from the lake or the tourist site of water. So, when people heard the Chiang Mai Grand Canyon, the first question is “Really?”, “Does Chiang Mai has a water park?”, and etc. That is why many Thai also urban life & foreigner tourism come to the Chiang Mai Grand Canyon because they want to prove that “How wonderful it is?”, and “Why do we called Chiang Mai Grand Canyon?”. Even if I have never been to the original Grand Canyon in Arizona, but I can exactly ensure you this our Chiang Mai Grand Canyon is quite similar to the original one. Moreover, differ from the original, now our Chiangmai Grand Canyon has the water park which quite enjoyment and restful for all tourist. Now I will let you know this unforgettable place, that I wanna come back again if I has a chance. 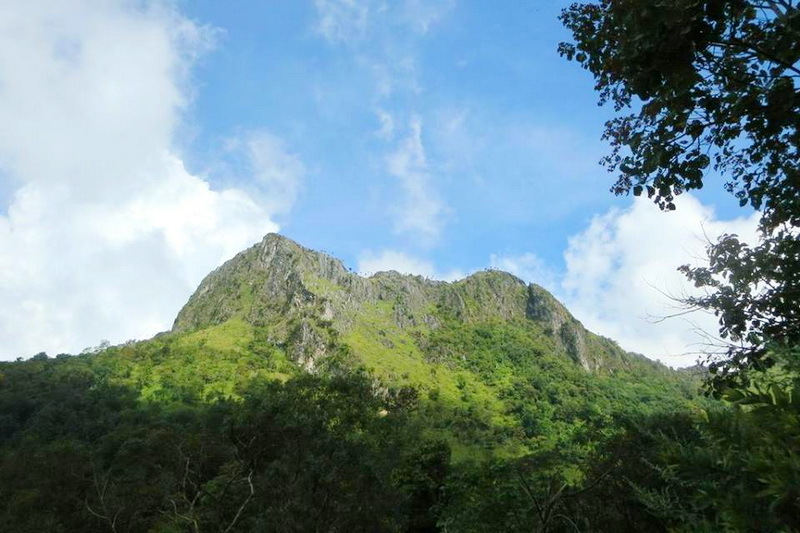 What’s we will see in Chiang Mai Grand Canyon? 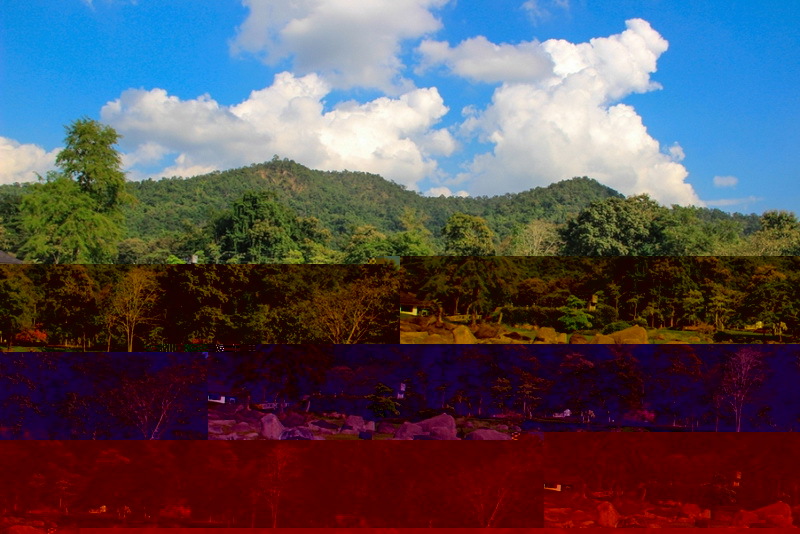 After you step insight to this miracle land, The Chiang Mai Grand Canyon you will meet the long line of the hill sight which so differ from the lake tourist in Thailand. First of all, we need to pay the entry priority for just 50 Bath. For me, it is just a cheap price because the enjoyment, which you will have gained is moreover than 50 Bath in exactly. Let’s go inside by the walking side which surrounded by the large emerald lake. 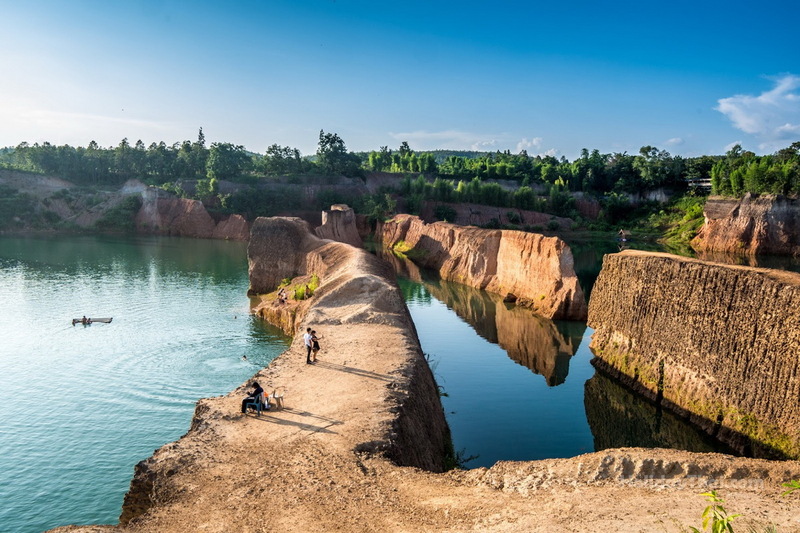 Moreover, from getting a cool photo from this miracle place The Chiang Mai Grand Canyon, if you visit this place in the weekend, and vacation period you will see many tourists both Thai & foreigner jump pool, and swim into the emerald lake. This is the one of interesting quest, you must try because the peak point for jump pool is the jump point has long distance from the surface of the emerald lake around 17 Meter. Don’t be serious the lake can swim and I am the one of them too who jump pool into the emerald lake. For my advice, you should too record while your jumping, it is a good way to get a cool VDO to upload to your social media site to show up how cool have you meet in there, the Chiang Mai Grand Canyon. After take a cool selfie and jump pool quest for 17 Meter, it is not the end of The Chiang Mai Grand Canyon. 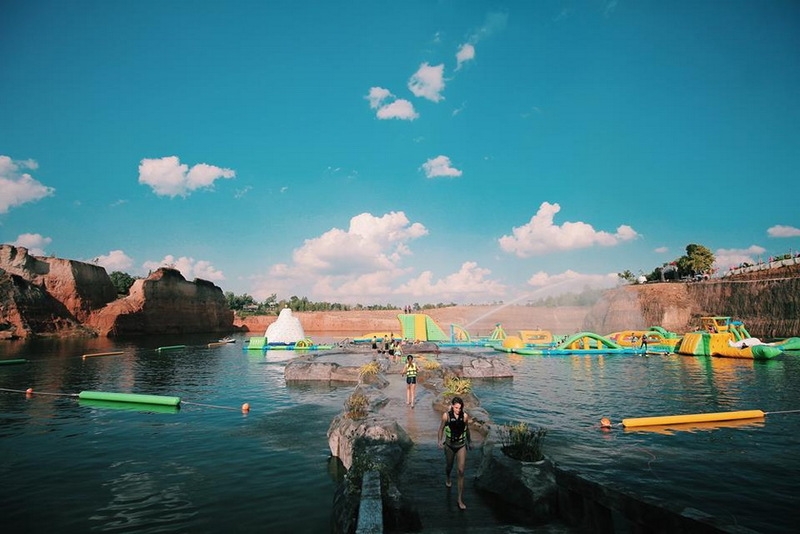 I recommend you to visit the one of highlight in this place is Chiangmai Grand Canyon water park which have a lot of activity zone for you never meet. 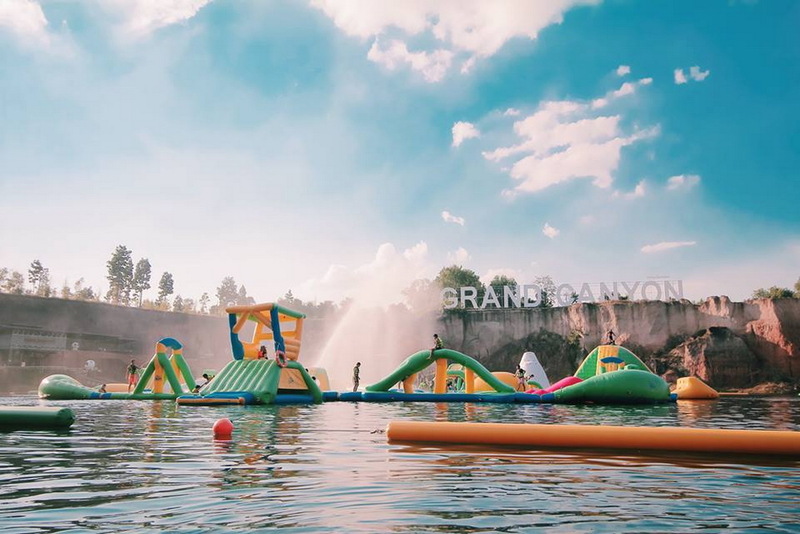 This Grand Canyon water park is open from 09:00 a.m. till 07:00 P.m. and the entry price for enjoy to one of the grateful water park in Thailand is 350 Bath for adult and 300 Bath for child. For me this is cheapest price of water park in Thailand which I had visit. Trust me there is a worthy price because you will joyful with a lot of activities provided for you (The price might be deducted depends on promotion). So, you need to manage your time a little bit to enjoy in this water park. For the family group which have many children. 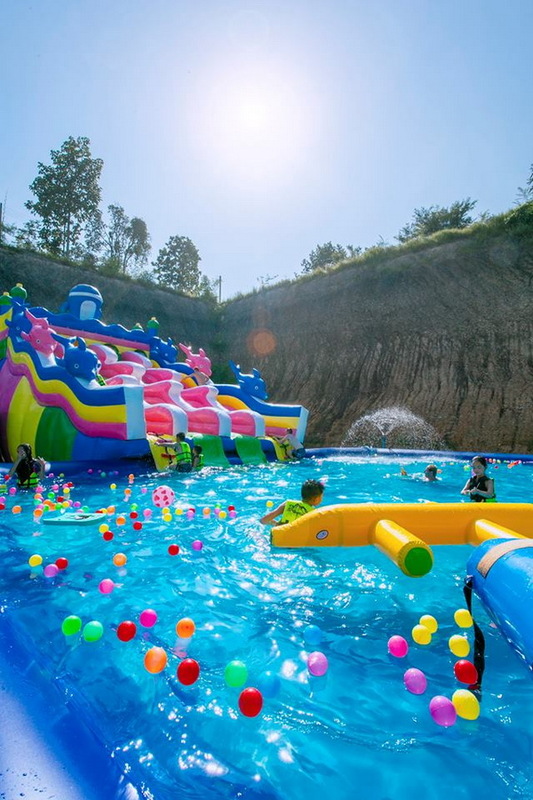 Parents need not be worry because this Chiang Mai Grand Canyon water park have the kid zone of water activities along with the staff who look after your children along the last hour of opening time. 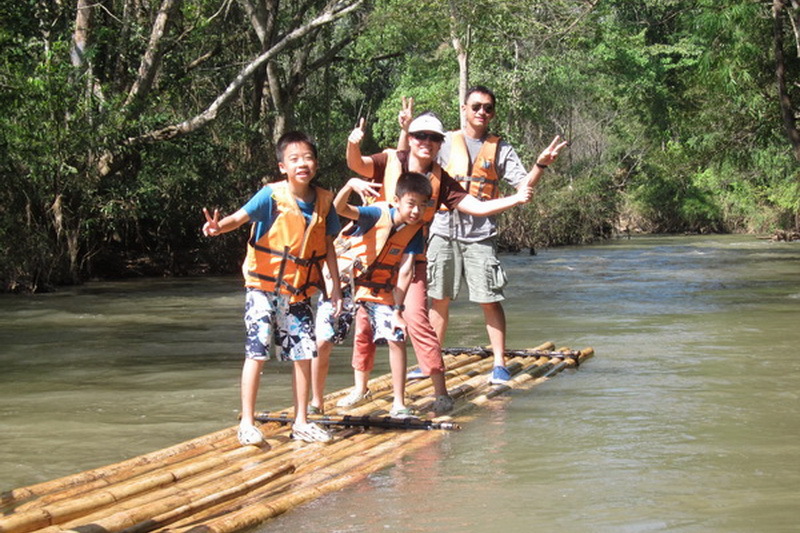 Not only the simple slider, but also you can feel Incredibly fun, the boat goes wherever you goes. Because you must to sit in the concise single boat at first, then the staff will charge you to slide down to the emerald lake that quite differ from the other water park in Thailand. 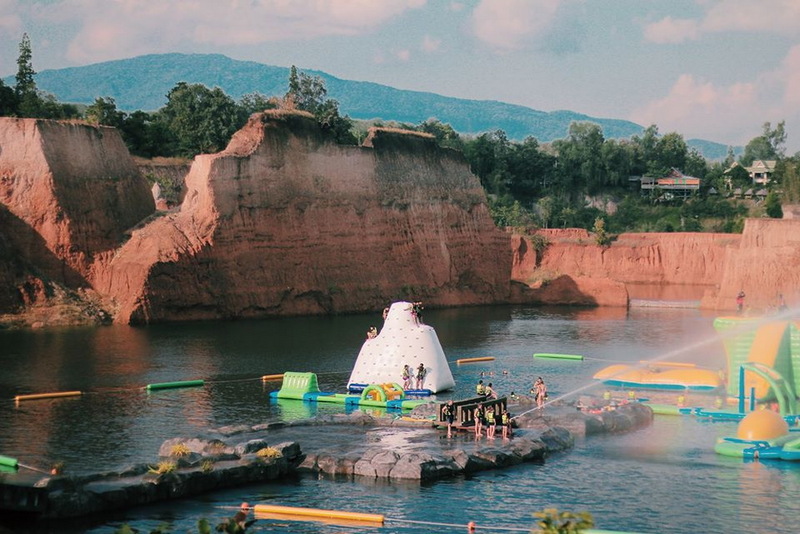 Only meet here at our Chiang Mai Grand Canyon water park. You don’t need to be worry about your hungry when you here in Chiang Mai Grand Canyon. Because the owner always provides the good taste with quality restaurant for every tourist. Tuang-Tong Canyon View restaurant is located in the Chiangmai Grand Canyon site. This restaurant has famous in Thai food and also traditional food which popular and has good review from the tourist who had to visited. Moreover, you can take a good difference sight of view from the Chiang Mai Grand Canyon from this tasteful restaurant, The Tuang-Tong Canyon View. All in all, Chiang Mai Grand Canyon is the one of the wonderful place which I recommend you to visit while be there in Chiang Mai. 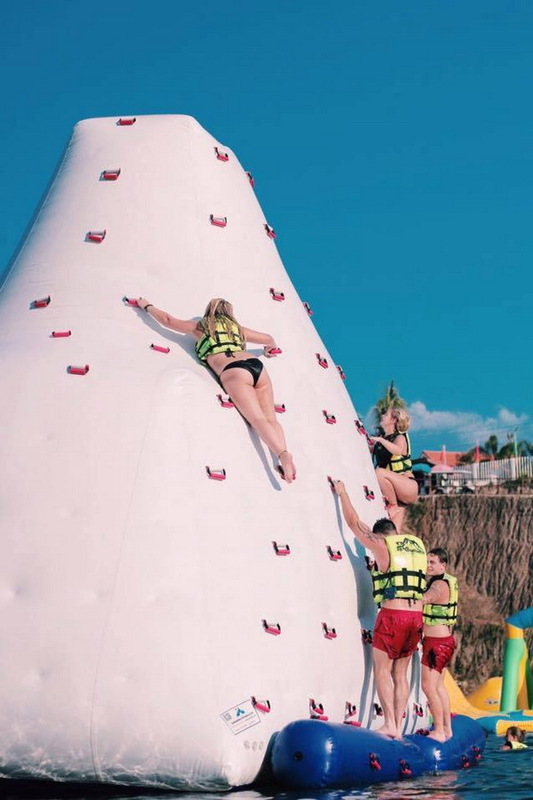 You will meet the unforgettable activities such as jump pool for 17 Meter, game zones in water park, slider with concise single boat, and good taste of meals with worthy price at Tuang-Tong Canyon View restaurant. 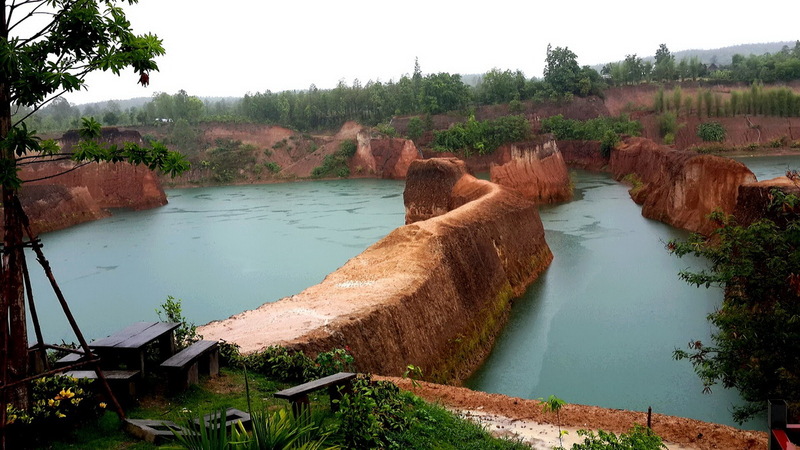 How to get the Chiang Mai Grand Canyon? There are many options, can reach to the Chiang Mai Grand Canyon for the tourist who not has a private car or motorcycle. But, the recommend way is to rent the motorcycle, start with the Ton-Pa-Yom market crossroad (Backside of Chiang Mai University). Take this road to Hang-Dong district, the road which beside the canal (The same direction to the Royal Park Ratchapruek, Chiang Mai Night Safari and Wat Prathat Doi Kham). Moving forward, you will pass the Royal Park Ratchapruek on your right, and also Nong-Kwai crossroad too. Next, continue straight and take the bridge on the right. After that, turn left on the little crossroad in 12 o’clock direction. Finally, take this road straight for a few minutes, you will reach the Chiang Mai Grand Canyon in the end.